Our advanced plate nesting algorithms will allow you to maximize your material yield and minimize programming time. Our ability to tool complex features with drills, end mills, taps, countersinks, and more are why we are the preferred software package in the industry. Our inventory module will help you improve inventory management and we can also integrate with your MRP software for seamless management of your shop floor. The team at Shop Data Systems is proud to introduce our state of the art plasma cutting and drilling software. When you take advantage of the Peddi-Nest system, you will have access to a wide range of features designed to assist in your cutting and drilling operations. From a continuous one-way feed to automatic plate trimming, this product does so much to streamline your entire process. 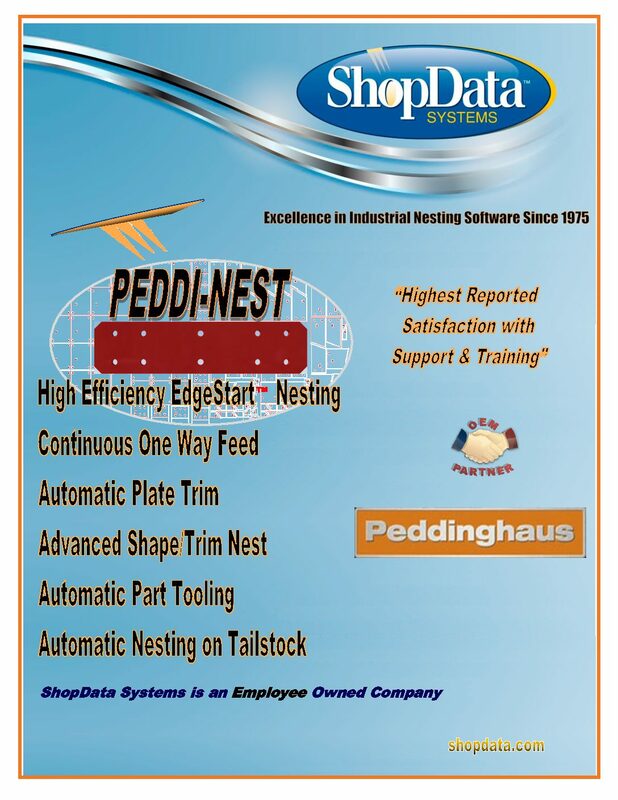 Below you will find a complete list of features and specifications that you can expect when you utilize the Peddi-Nest system in your industry. Let Shop Data help you use up your entire plate inventory. 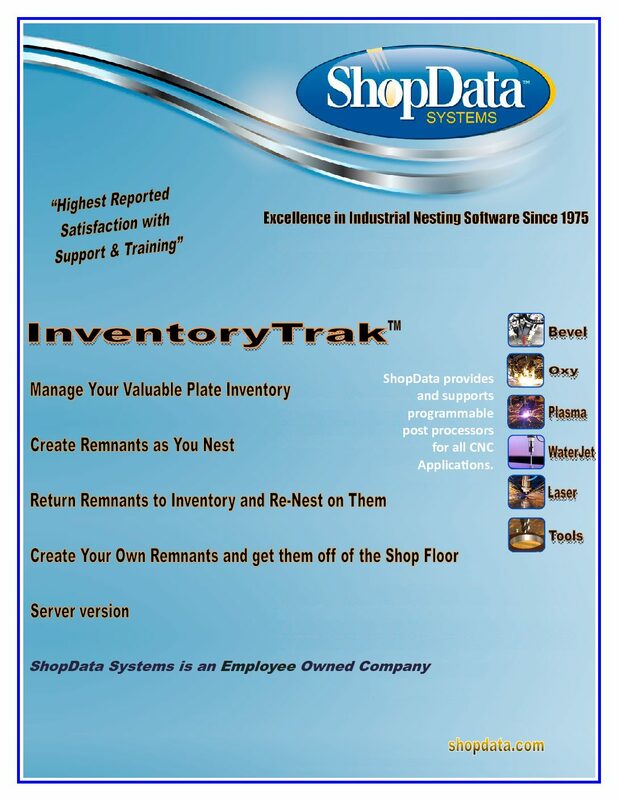 With Shop Data’s InventoryTrak™ Module you can manage your plate inventory and deplete your inventory as they are nested upon. Purchasing can enter the inventory and monitor it for replenishing. Also, remnants can be returned to inventory and remnants can be drawn and entered into inventory. Track by location, heat number, vendor, prime code, mill certificate and even assign to a job. 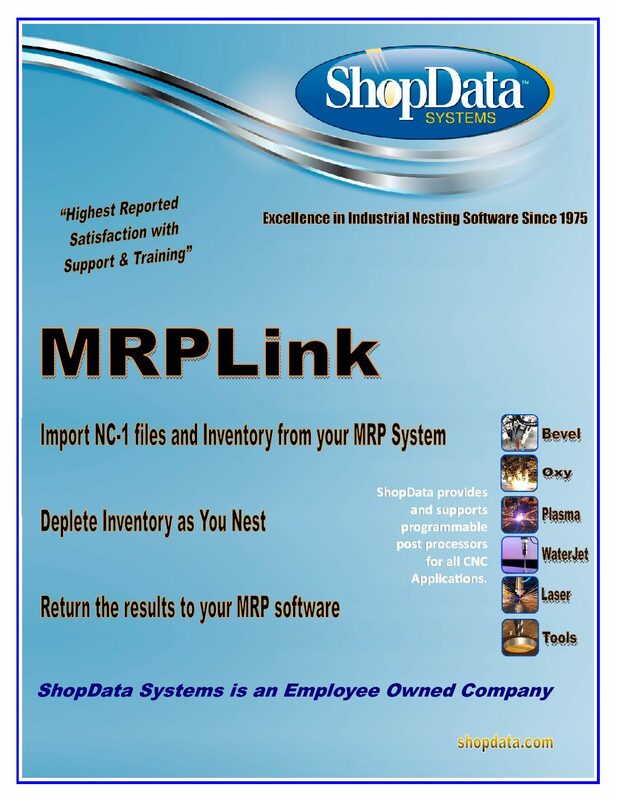 Shop Data Systems software packages will link with your MRP software! Let your MRP Software do what it was designed to do, manage your parts and inventory. 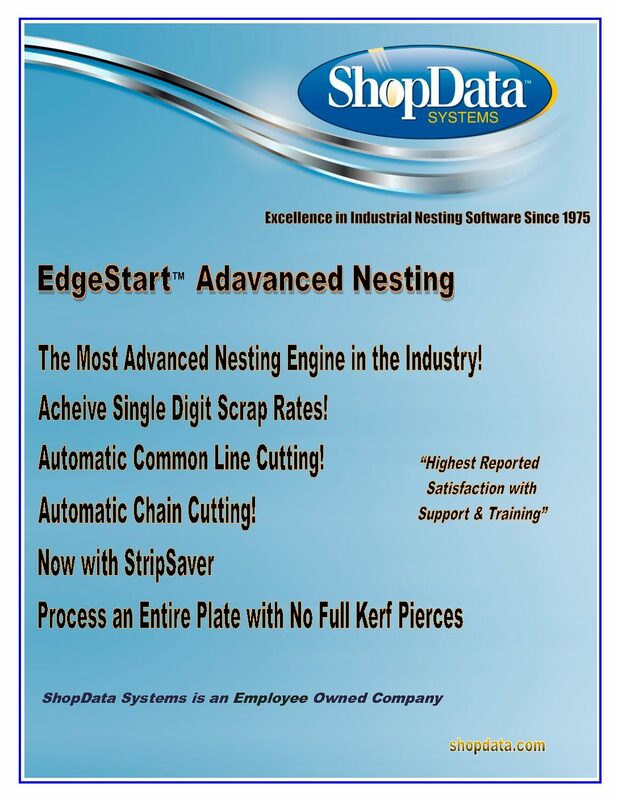 Shop Data nesting software packages will accept part files and material inventory from your MRP, nest it according to your specifications and send the results back to your MRP software. Shop Data’s QuickCAM Bevel module is designed with an intuitive interface that is that is easy to use yet has all of the features you need in 5 axis beveling software.